When your commercial facility is too cold in winter or too warm in summer, productivity slows down. Calvert Mechanical Solutions offers 24-hour emergency commercial HVAC repair and maintenance for overworked or under-maintained HVAC systems. 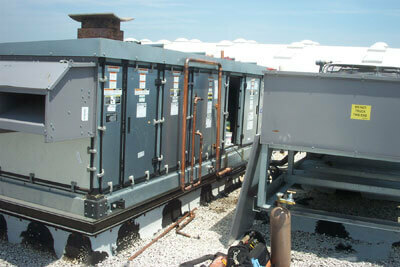 We keep HVAC systems operating at peak efficiency for clients in the central Maryland area. Where commercial plumbing, HVAC, electrical, and energy management equipment is concerned, the proverbial ounce of prevention is indeed worth a pound of cure. For this reason, Calvert offers planned maintenance agreements tailored to meet your unique requirements. The Basic Plan assures compliance with manufacturer’s specifications and typically includes four quarterly maintenance inspections. The Labor-Inclusive Plan meets manufacturer’s requirements and covers the cost of labor in the event that problems are discovered. The Full-Coverage Plan comprises four annual inspections and full coverage of labor costs and materials during normal service hours. Knowing that one size doesn’t necessarily fit all, Calvert offers custom contracts to clients with special facility needs or circumstances.